So, how can you run a successful restaurant? The short answer is, “I don’t know.” But by looking at this small restaurant called Tandoori Chowk, I think they have nailed it. On weekends, they have quite a lot of people lining up in front of their counter. 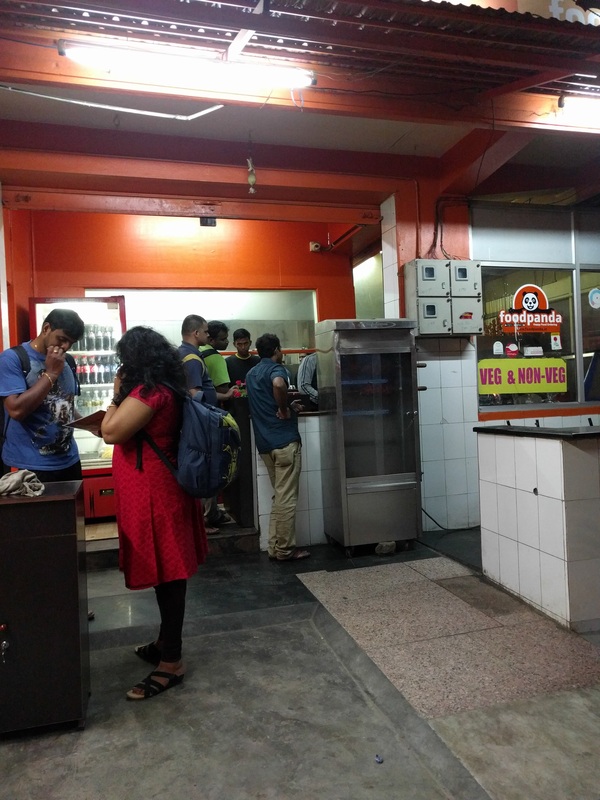 Notice that there are four people in que waiting to place their orders. People who have placed their orders usually stroll around the empty space infront of the restaurant. Many go for a tobacco break after placing their order. Notice the Tandoor grill on display. It was already half empty at 8:30 pm. These guys run a seating service as well as a home delivery service. On weekends their home delivery service gets quite a bit busy. Their take away service is frequented by people who had come there to buy some liquour from Madhuloka inside More Megastore or from the local shop that’s adjacent to Tandoori Chowk. These guys are constantly on their feet, running the shop like an efficient machine. There are two people to take orders from two queues (or the frequent home delivery call). They jot it down on a sheet, scream the order to the cooks and pass the slip to a guy who arranges the slips and the orders as various packages come from various stations. They have three stations – one for pseudo-Chinese stuff, one for Indian stuff and one for Tandoor stuff. A guy who had ordered some veg fried rice even asked if they had separate wok for vegetarian dishes; to which, the guy at the counter replied yes. Their rating on Zomato is 3.3. It will never attract a crowd who are looking for a place to dine. In fact, I don’t even like the ambiance they have inside their seating service. In a way, by just targeting larger volume of affordable food, they are earning much more than a niche restaurant that needs a minimum footfall for a year to break even. No wonder, we see a lot of high-concept restaurants shutting down within three months of their inauguration. The food is pretty good for the price one pays. It actually surpasses some of the expensive restaurants that try real hard. 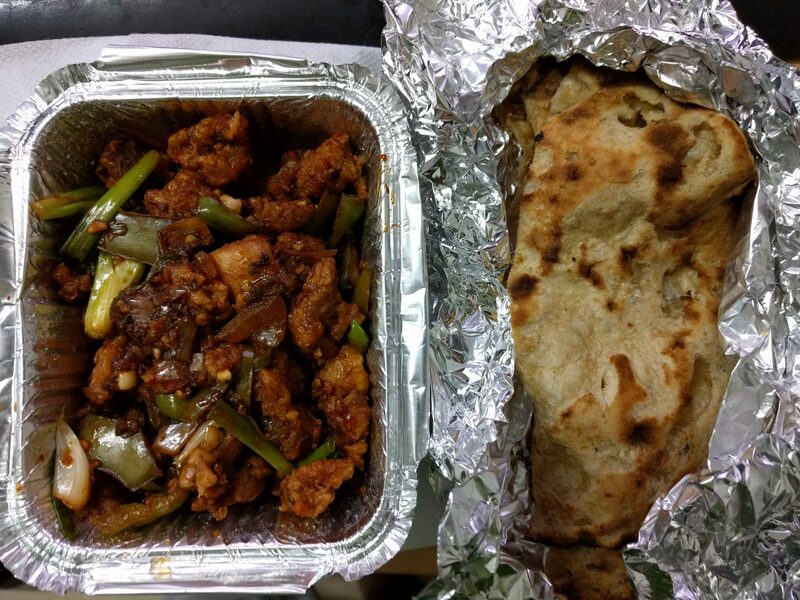 Chili Chicken and Tandoori Roti – my usual order. There is something else I like about the place. These guys have taken a page from the darshini style breakfast joints where the entire workstation is behind transparent glass. Their customers can see what the cooks are doing right in front of their eyes. 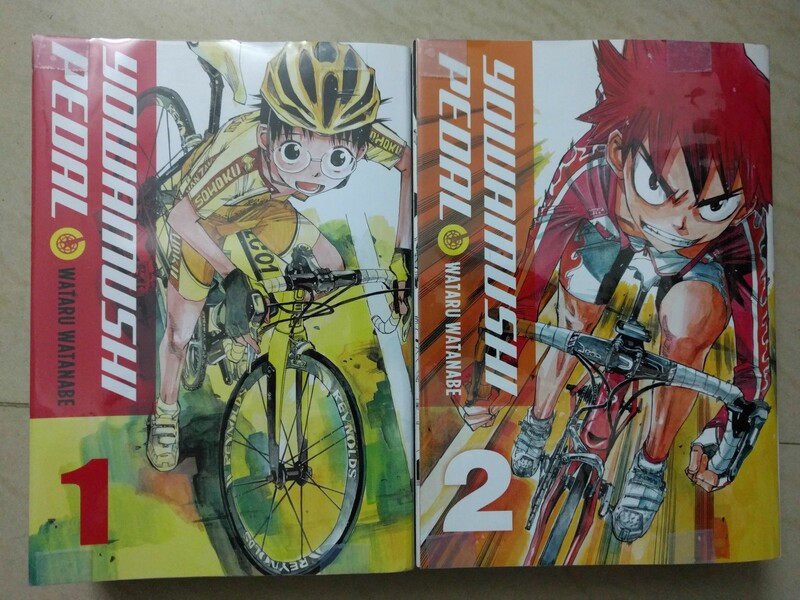 Today, I received a package containing two volumes of Yowamushi Pedal. I had written an entry about cycling mangas and wished that someone licensed this title. The manga gods heard my prayers. I was elated when I read the announcement last year that Yen Press had licensed the manga. They have packaged them as these gorgeous over-sized 2-in-1 volumes. Yowapeda, Volumes 1 and 2. It was a good day for the comics geek in me. I also got back my copy of Batman: Year One that one of my colleagues had misplaced. I have stopped lending out comics after that. I had not replaced the title because I was waiting for a suitable anniversary hardbound edition. Now that I have my original paperback back with me, I’ll probably not buy the edition I was looking forward to. Surreal photo of the day. 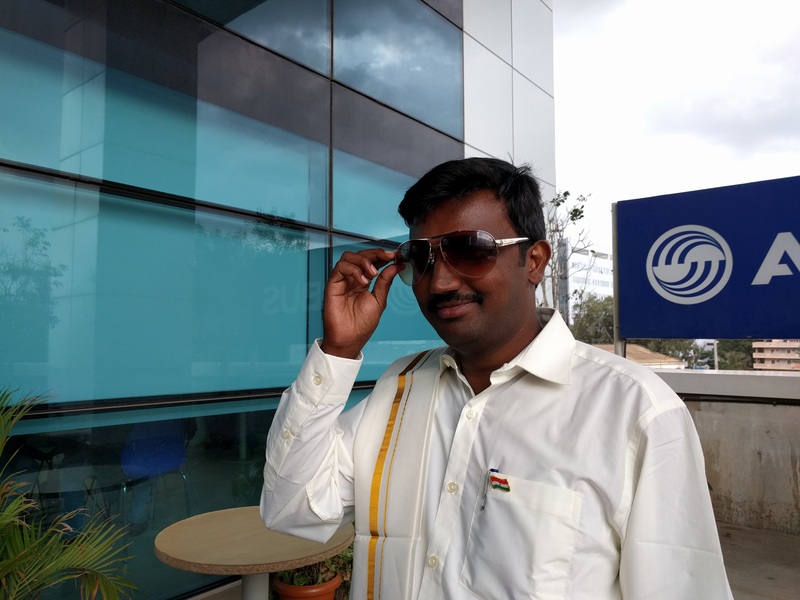 My colleague, Chinnarajan posing as a true South Indian politician.